Sweet Home Llíria (Valencia): an online shop to buy international products and vegetarian food such as Quorn and Linda McCartney Food. In the case of British, Romanian, French, Polish and people from other nationalities living in Spain, we wish to offer them the chance to feel again the traditional flavours that evoke memories and bring our children closer to our beloved land. In the case of those who enjoy tasting new gastronomic experiences, Maggie constantly and carefully selects in Sweet Home Llíria several Romanian, British and Polish products (such as Zywiec and Tyskie beers…). They will be perfect to try each week different meals from all over Europe from home! In the case of vegetarian people, do not hesitate to check our Quorn and Linda McCartney Food frozen meals; both brands stand out for their high quality. In our online shop you can buy British products online to celebrate British meals with all the details: from the prepared sets to make British porridge, to snacks and sauces for a good British meal (such as Piccalilli or the Pataks and Blue Dragon sauces), accompanied by chocolates, teas and cookies for the typical British tea time. If you wish to discover or remember Romanian food, in our online shop you can buy meats, sauces and other products for a complete Romanian meal, getting the taste of Romania from home: alcoholic and non-alcoholic Romanian drinks, jams, assorted Romanian sweets and many other surprises and memories for your palates. Our recommendation: frozen ground beef or mici, and white cheese in brine. At Sweet Home Llíria we have chosen frozen meals from brands Quorn and Linda McCartney Food so you can buy from a select range of vegetarian frozen meals. We offer “vegetarian meat” or healthy proteins in the form of delicious vegetarian and low calorie meals for vegetarians who wish to buy Quorn and Linda McCartney Food in Valencia. How to buy Romanian, British, vegetarian products…? 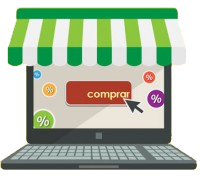 The shopping process is very easy on the Sweet Home Llíria online shop, and you can pick it up personally in our shop in Valencia or receive it at home –service available at a maximum distance of 20 km from our shop. Specialty in the Quorn and Linda McCartney Food brands. Catalogue, availability and 24h shopping through the website. Special orders on specific dates (such as Christmas). For further information on how to buy our products or our Quorn and Linda McCartney Food vegetarian brands, do not hesitate to contact Sweet Home Llíria.